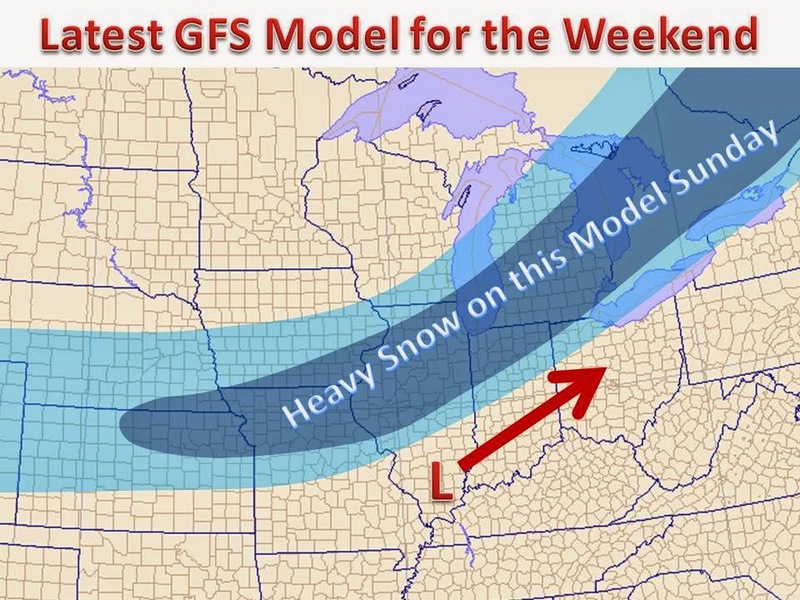 The latest GFS model run is in, and it shows the potential for a winter storm this weekend. This feature has been in the models several days ago, but has since vanished. Well, it is back in full force. The GFS has been the best model to be the first to pick out a winter storm this year. IF THIS VERIFIES, we are looking at a 4-8" storm somewhere in the Midwest. We will certainly keep you updated in the coming days on this potential winter storm. Stay tuned.